Heather has committed her life to closing the education and employment achievement gaps for youth and adults. Her leadership experience spans more than 20 years, during which she founded and led several private and public sector organizations. 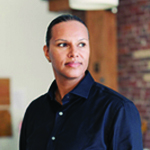 Her roster of leadership roles includes: Commissioner, San Francisco Unified School District; Executive Director of Silicon Valley Social Venture Fund (SV2); CEO of Hiles Group (a philanthropy consultancy firm); Co-Founder of EARN (Individual Development Accounts program); CEO of SFWorks (NGO to place women from welfare into careers); and COO of Break the Cycle (K-3rd grade tutorial program). Heather received her B.A. from UC Berkeley and her MBA from Yale University.